Republic Report has obtained a toughly-worded 17-page letter sent on Friday from the U.S. Department of Education to collapsing for-profit Corinthian Colleges, with the government charging that Corinthian's Everest Institute misrepresented job placement statistics at its Decatur, Georgia, campus to the school's accrediting agency and to students. The Corinthian school did so, according to the Department's August 22 letter and supporting attachment, by paying employers $2,000 to hire Corinthian grads for 30 days, by counting them as placements even if employment didn't last 30 days, by simply making up placements, and other means. The letter charges that Corinthian's "corporate office was substantially involved in designing and managing" the $2,000 payment program. Corinthian briefly addressed this letter and dispute in a filing with the SEC on Friday, and Chris Kirkham reported on some of these facts late last year in the Huffington Post. Corinthian spokesman Kent Jenkins has previously defended the payments to employers as appropriate, temporary, and legal. But the new letter from the Education Department finds that "[c]ontrary to [Corinthian's] claims, the Department's investigation revealed that what students received ... bore no resemblance to bona fide, sustainable positions" -- and concludes that Everest Decatur knew that from the start. The Department interviewed 20 students who were allegedly placed in jobs, and not a single one obtained a real position. The Department's letter informs Corinthian that because the company has engaged in substantial misrepresentations, the Department has denied Everest Institute's application to remain eligible for federal education aid. The Department further determined that Everest breached its fiduciary duty to the Department. The letter informs Everest that it has an opportunity to dispute the Department's findings. Jenkins of Corinthian did not immediately respond to requests for comment, but I will supplement if I hear back. 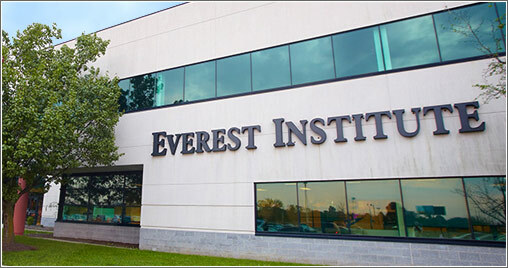 As we have said publicly on numerous occasions, about four years ago Corinthian's internal processes identified issues related to job placement for graduates at our Everest campus in Decatur, Georgia. We took decisive action to eliminate any practices that violated company standards. We invested additional resources to help our Decatur graduates obtain jobs in their fields of study. And we self-reported our findings and activities to the appropriate regulators and accreditation agencies. Corinthian ceased operations at Everest Decatur in 2013. On August 21, 2014, the Company's lawyers met with attorneys for the U.S. Consumer Financial Protection Bureau (the "CFPB"), and subsequently received a letter memorializing certain aspects of the discussion, in which the CFPB asserted violations by the Company of the Dodd-Frank Act and the Fair Debt Collections Practices Act indicated its willingness to engage in settlement discussions with the Company, so long as the Company would agree to certain conditions. These conditions include (i) providing certain financial disclosure materials, (ii) ceasing the sale or transfer of private student loans, (iii) ceasing to engage in certain in-school collection efforts the CFPB considers unlawful, (iv) providing students and prospective students with the same disclosures regarding the potential sale of certain campuses that the Company has provided to California students as part of an agreement with the California Attorney General, and (v) notifying the CFPB of any indications of material interest in purchasing any of the Company's assets. The CFPB also requested certain documents relating to a recently-completed sale of student notes (discussed under Item 2.06 above) and certain information relating to the student loans that the Company continues to hold and any private lending arrangements to which the Company is currently a party. The CFPB provided the Company until August 29, 2014 to indicate whether it would agree in principle to such conditions.